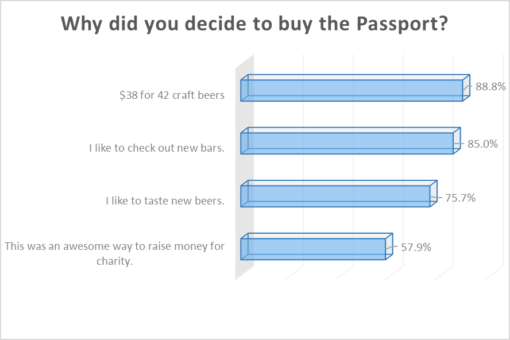 By purchasing the Good Beer Passport this summer you helped raise awareness and more than $5,200 for great local charities like God’s Love We Deliver and Heritage Radio Network! You also helped to drive business into local bars and restaurants during the slowest part of the year. You should be proud of what we accomplished together. The Good Beer Passport, now in it’s 8th summer (WOW!) 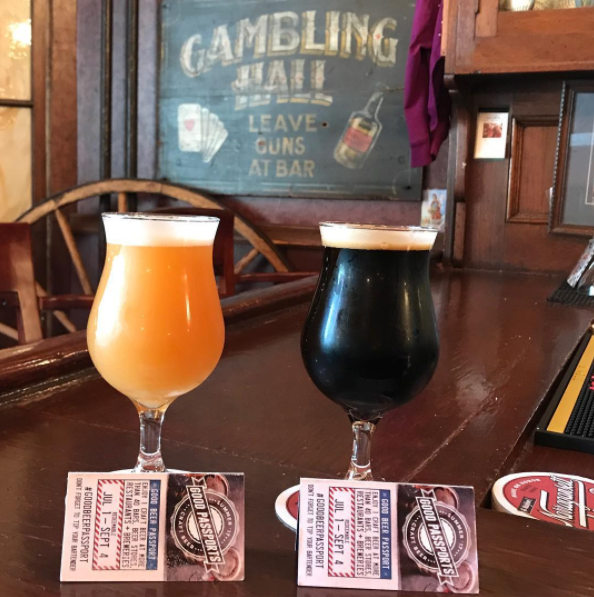 along with the support of Butternuts Beer, Flagship Brewing Company, Gun Hill Brewery & Sixpoint, offered 42 craft beers at 42 bars, restaurants, beer shops and breweries all over NYC from July 1st, 2017 through September 4th, 2017 for only $38. That’s a serious summer full of awesome beer for a great price and a good cause. We’re honored to have been able to bring this to you. 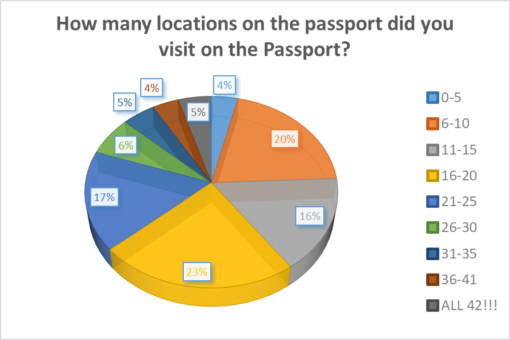 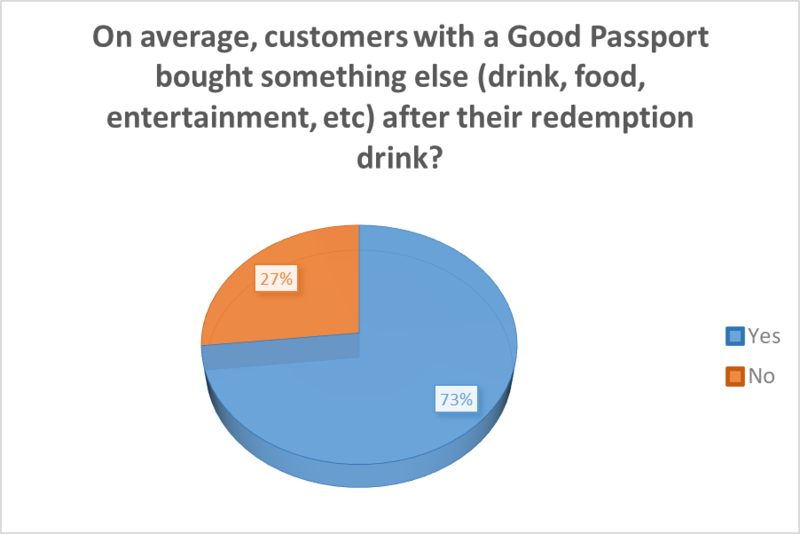 There are a number reasons why a bar or restaurant would want to participate in the Passport. 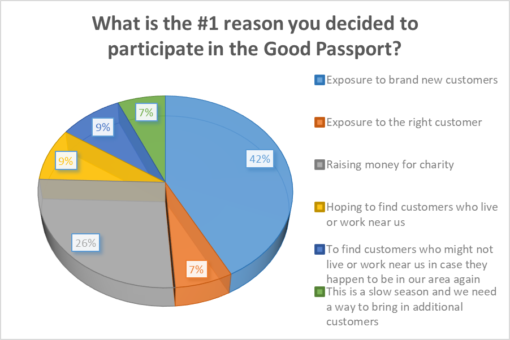 Sometimes it’s about finding new customers, sometimes it’s about needing help in a slow season, other times it’s about supporting the charities that are a part of the Passport program. 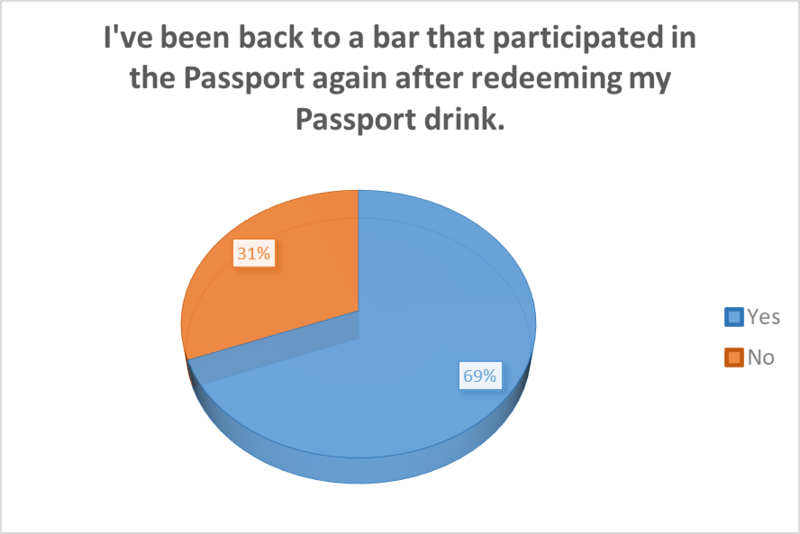 We asked the bars to also take a survey. 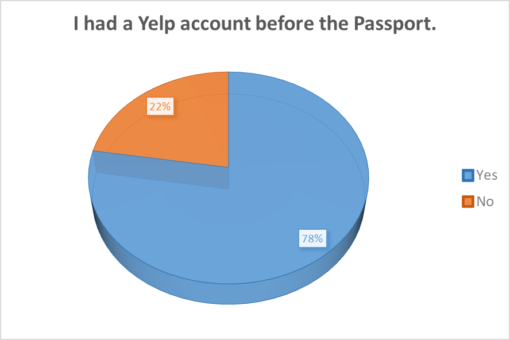 We wanted to see if they had a similar experience as you did. Here’s what they had to tell us. We sincerely appreciate you buying a Good Beer Passport. The Good Passports were created with the goal of accomplishing 2 things: A. expose great customers to great bars and B. to raise awareness and funding for local charities. You proved, yet again, that the Good Passports do exactly what they are intended to do. Bars judge the success of these by how many new customers we can bring them, if they spent money after redeeming their Passport or if they make return visits. 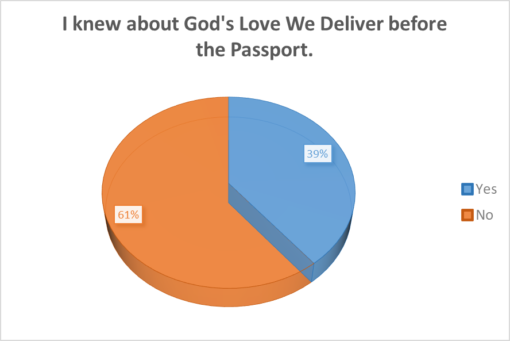 The numbers don’t lie, you did all of those things. 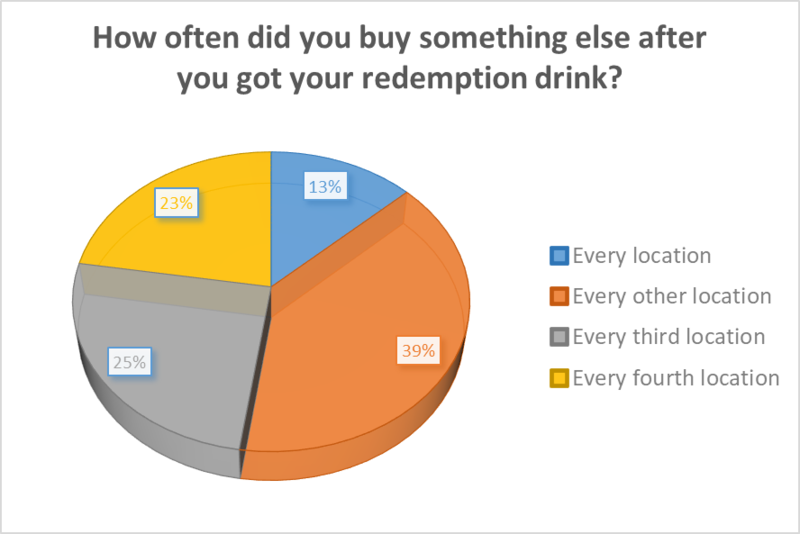 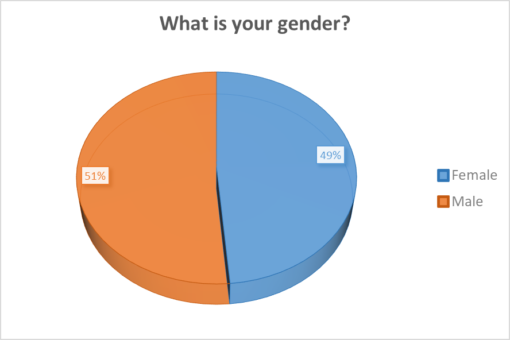 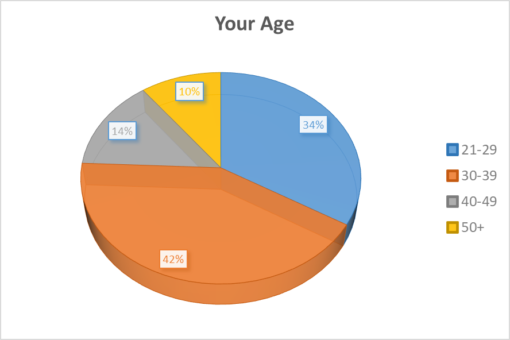 According to what the bars told us, 73% of you bought something else after your redemption drink. To those of you who are in the #DontForgetToTip club, we tip our hats out of respect to you. 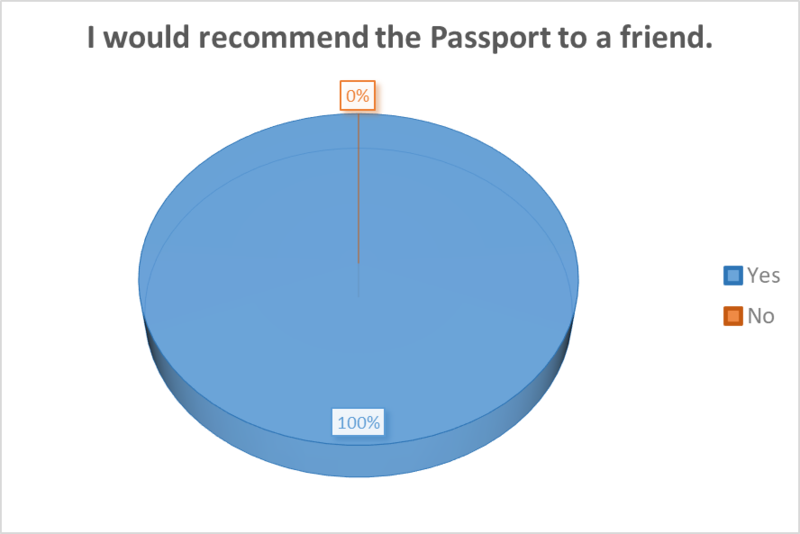 These people work very hard to make sure you have an enjoyable experience. 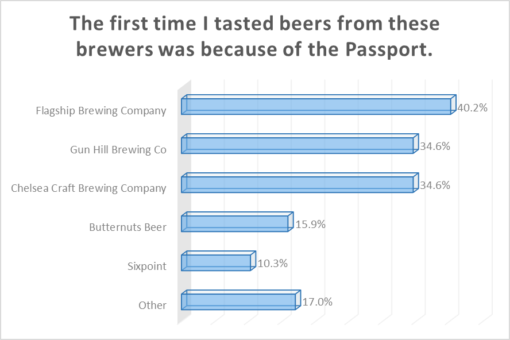 A massive, Massive, MASSIVE thank you goes to all the bars, restaurants, brew shops, and breweries and the staff of each of them. You made Passport redemption a smooth and fun process. You worked very hard to make sure customers had a good a time. 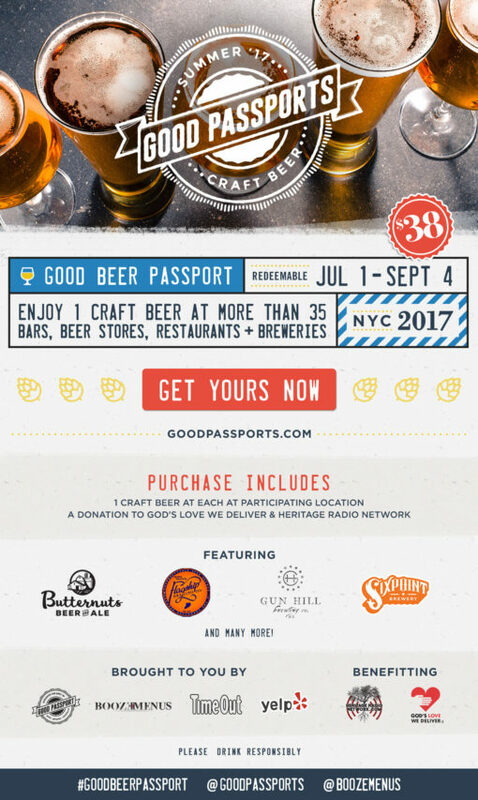 Thank you Handcraft Kitchen & Cocktails for hosting the awesome Good Beer Passport kick off party! 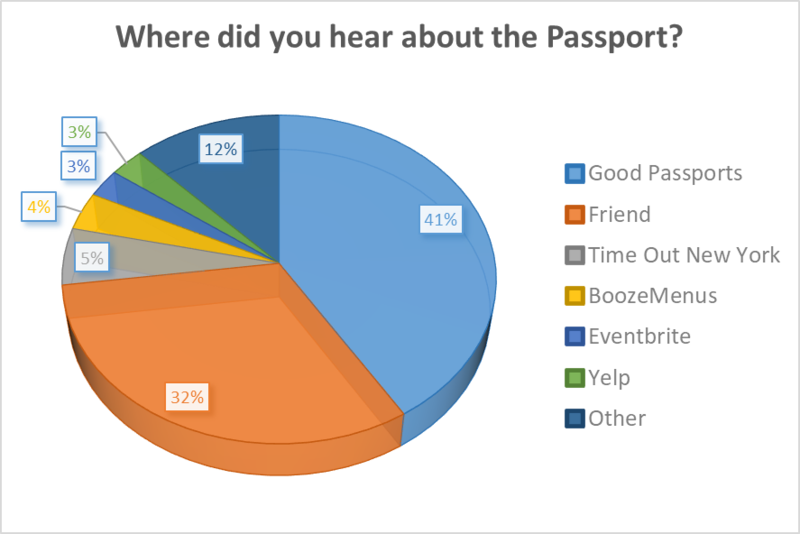 Big thanks to Yelp & TimeOut for supporting the Good Beer Passport and helping us to raise awareness for the program, the bars, the breweries and the charities. 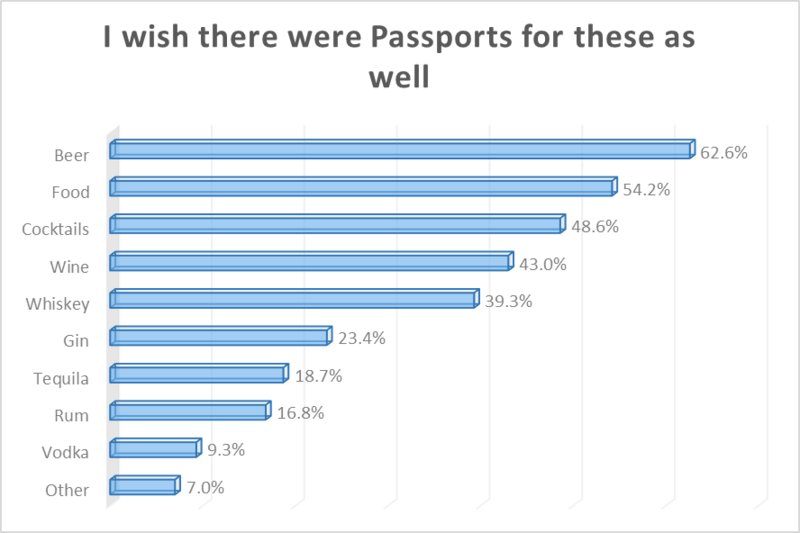 Why does the Passport artwork look so good? 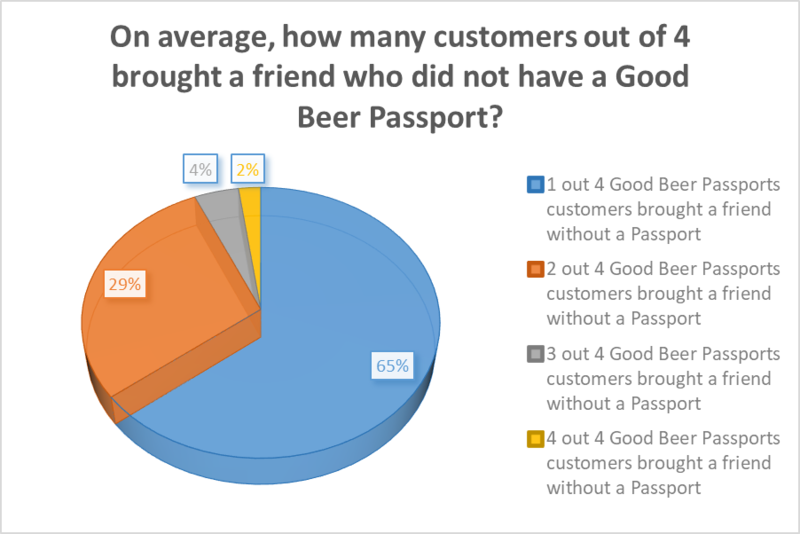 That is the work of Derek Springsteen & Chris Skae. 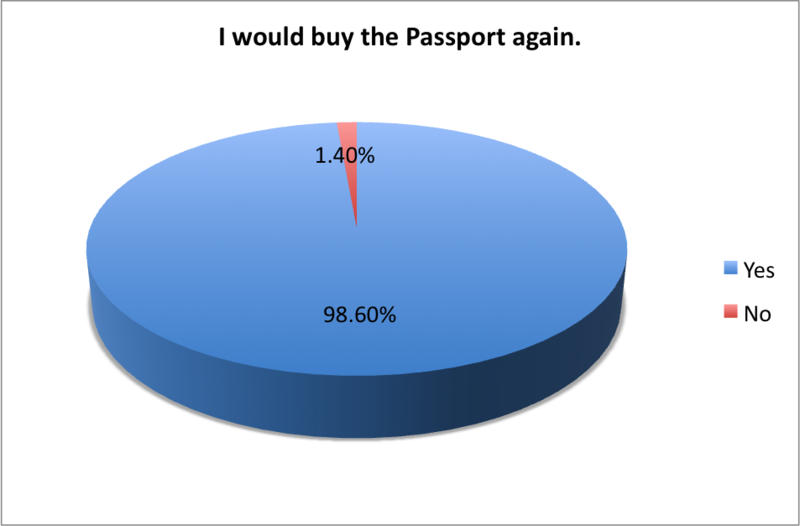 They have designed every single Passport that we’ve ever done. 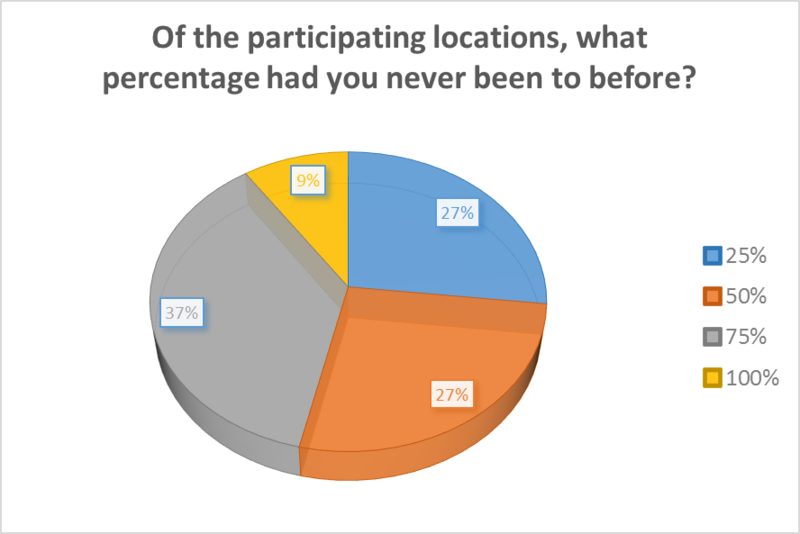 We couldn’t do it without you guys. 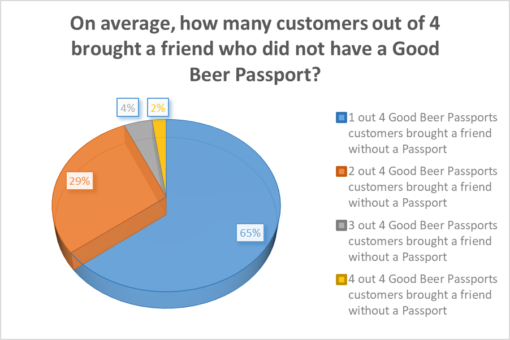 For our friends that checked into one of the bars on social media, used the #GoodBeerPassport hashtag or included @BoozeMenus & @GoodPassports in a post, thank you. We tried to share, comment, like, retweet, repost and engage with every single one of you.